Michigan, Missouri, and Utah all added their names to the list of states that have legalized marijuana, to some degree. While Missouri and Utah approved initiatives to allow medical marijuana, Michigan became the first Midwest state to legalize recreational marijuana use. Not only that, but more local decriminalization measures were successful as well. Here's a look at 2018's "Green Wave." Illinois Governor-elect J.B. Pritzker said, "We can begin by immediately removing one area of racial injustice in our criminal justice system ... Let's legalize, tax, and regulate marijuana." Minnesota Governor-elect Tim Walz wants to "replace the current failed policy with one that creates tax revenue, grows jobs, builds opportunities for Minnesotans, protects Minnesota kids, and trusts adults to make personal decisions based on their personal freedoms." New Mexico Governor-elect Michelle Lujan Grisham said legalizing marijuana will bring "hundreds of millions of dollars to New Mexico's economy." Wisconsin Governor-elect Tony Evers supports decriminalizing marijuana, allowing medical cannabis, letting voters decide on full marijuana legalization. This is where we put our obligatory reminder that marijuana remains illegal under federal law. Permit commercial sales of marijuana and marijuana-infused edibles through state-licensed retailers, subject to a new 10-percent tax earmarked for schools, roads, and municipalities where marijuana businesses are located. 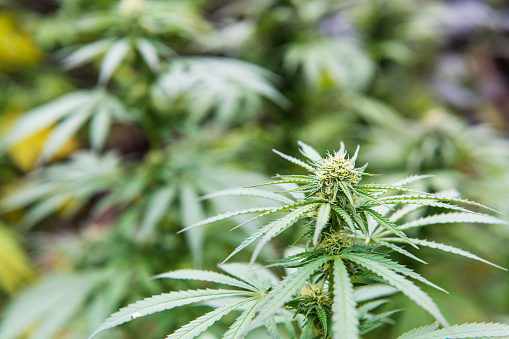 While the law goes into effect next week, commercial weed sales aren't expected until the state can draft and enact a regulatory scheme, so your cannabiz is probably put on hold until early 2020.